Zc921. 181116 Villa Verde hike, middle section 001. This is my GPS track of the walk and also gives you a bigger picture of the Villa Verde Trail area. 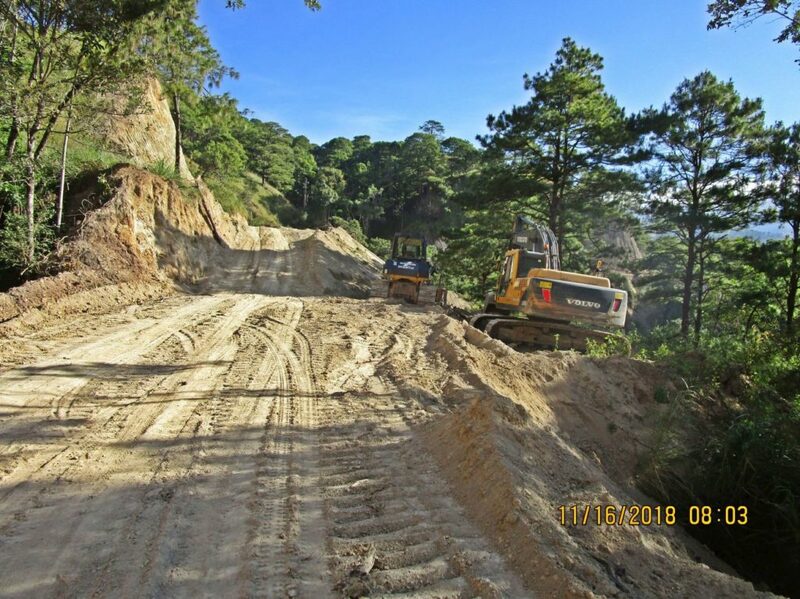 Sections of the Villa Verde Trail are now being used to build a new Pangasinan to Nueva Viscaya Road. I started walking the trail before the construction started. 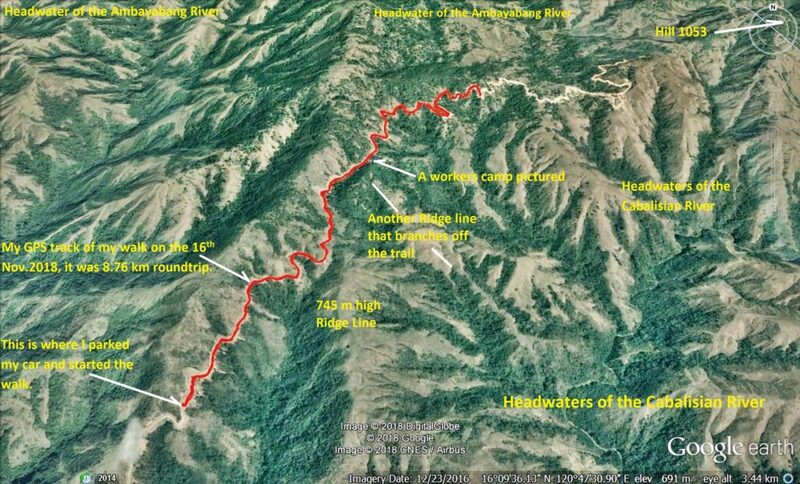 But now, I have finished walking the whole trail, although in sections, with this walk. Finally I walked the last section of the Villa Verde Trail. 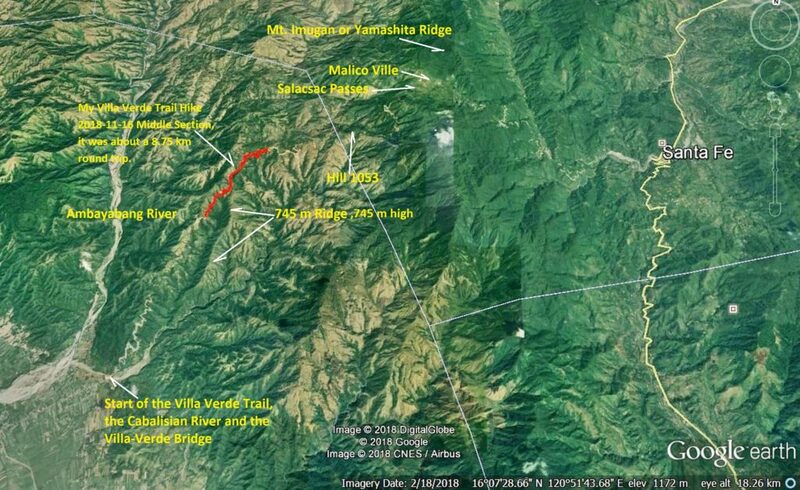 Last Dec. 2017 I walked from Malico towards San Nicolas about 9 km and before that I started up from San Nicolas. One could not walk it all the way before because it was un-penetrate-able and later not cut yet for the new road construction. So today I drove up about 8km from San Nicolas and walked to and back about a 4 km stretch between Malico and San Nicolas. The pictures are in sequence, going up in the direction to Malico. Zc922. 181116 Villa Verde hike, middle section 002. This is my GPS track of the walk, zoomed in with some landmarks. Zc923. 181116 Villa Verde hike, middle section 003. This is the elevation profile of my GPS track of the walk. Zc924. 181116 Villa Verde hike, middle section 004. 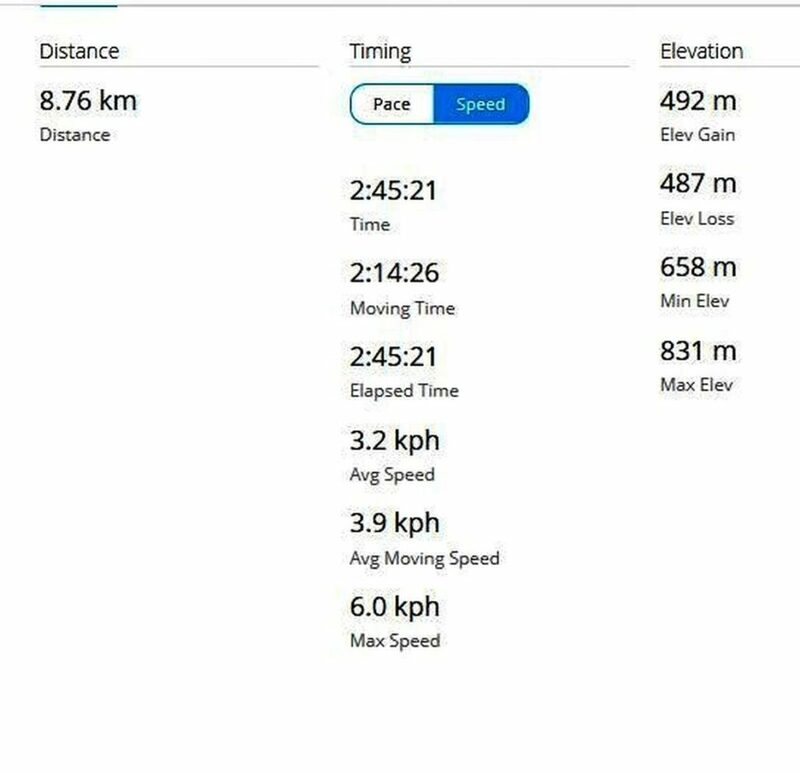 This is information of my GPS track of the walk. Zc925. 181116 Villa Verde hike, middle section 006. 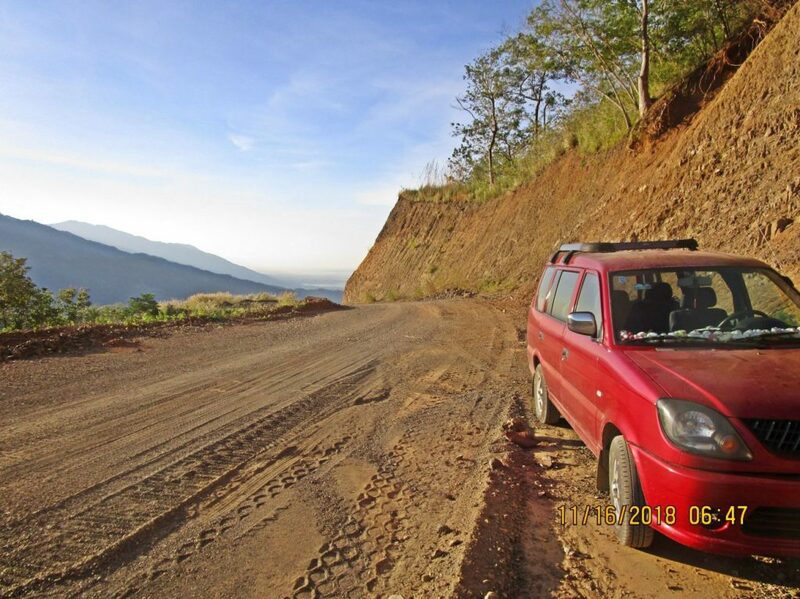 I drove up from San Nicolas, across the new bridge, and parked my car here at the about 660 meter level. Zc926. 181116 Villa Verde hike, middle section 009. On of my first view on this hike, right is the 745 meter high ridge line that blocked my view much of the time. Zc927. 181116 Villa Verde hike, middle section 010. 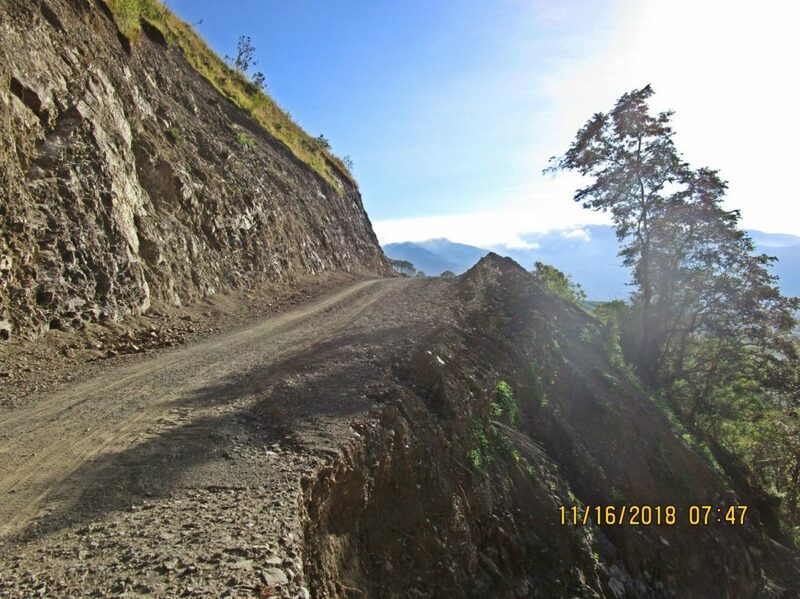 On of my first view on this hike, you can see this is not an easy job to build this road, a lot of cutting has to be done. Zc928. 181116 Villa Verde hike, middle section 011. A look back on this hike, left is the 745 meter high ridge line that blocked my view much of the time. 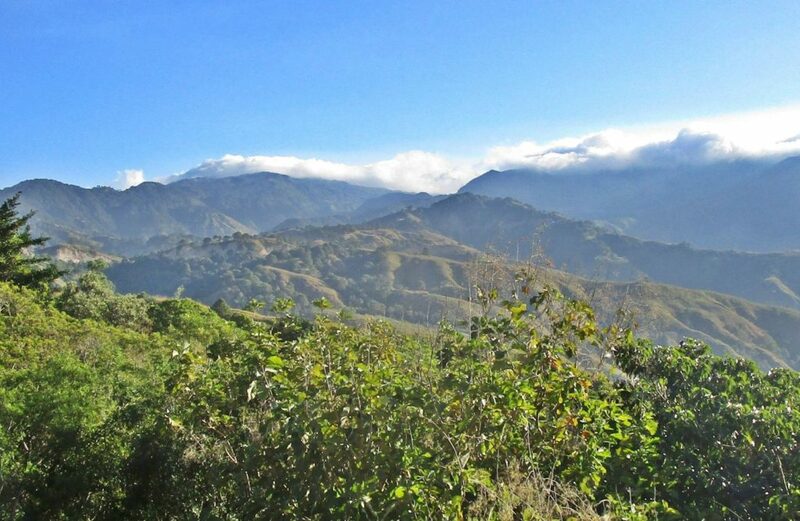 The high, high mountains at left are part of the Caraballo Mountain Spur, which the Villa Verde Trail crosses. Straight ahead is the Central Luzon Plains. Zc929. 181116 Villa Verde hike, middle section 012. At many bends or ravines the embankment of the trail or now the new road needs to be enforced like this. Zc930. 181116 Villa Verde hike, middle section 013. This a long view up and ahead, at the distance is where the 745 meter high ridge, branches off from this main one. Zc931. 181116 Villa Verde hike, middle section 015. Another look back from the Villa Verde Trail towards the Central Luzon Plains, left is the 745 m. high line that branches off from this ridge and blocks our view towards the Salacsac Passes. Zc932. 181116 Villa Verde hike, middle section 018. 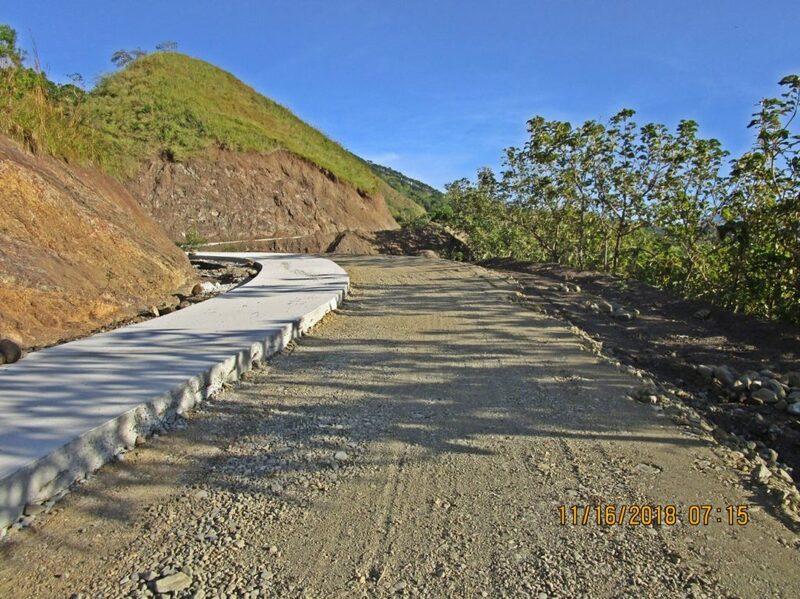 Even up here near where the 745 m. high ridge branches off, some concrete has been laid already on the new Villa Verde Trail/Road. Zc933. 181116 Villa Verde hike, middle section 022. We are looking back, left is where the 745 m. high ridge branches off. Even here that ridge is blocking the view. Zc934. 181116 Villa Verde hike, middle section 024. We are passed the connection point where the 745 m. high ridge has branched off and we have a clear shot of the Cabalisian River head water area. Dead ahead are the Salacsac Passes. 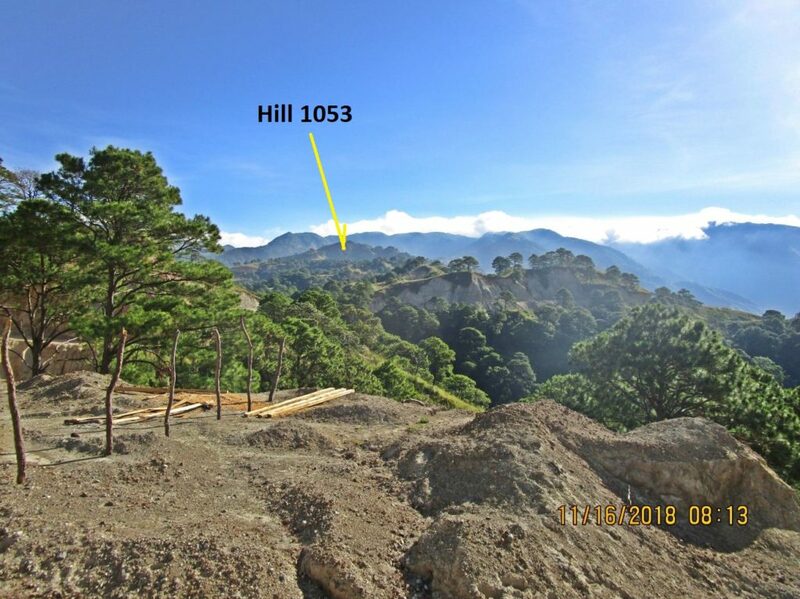 The first high peak is Hill 1053. 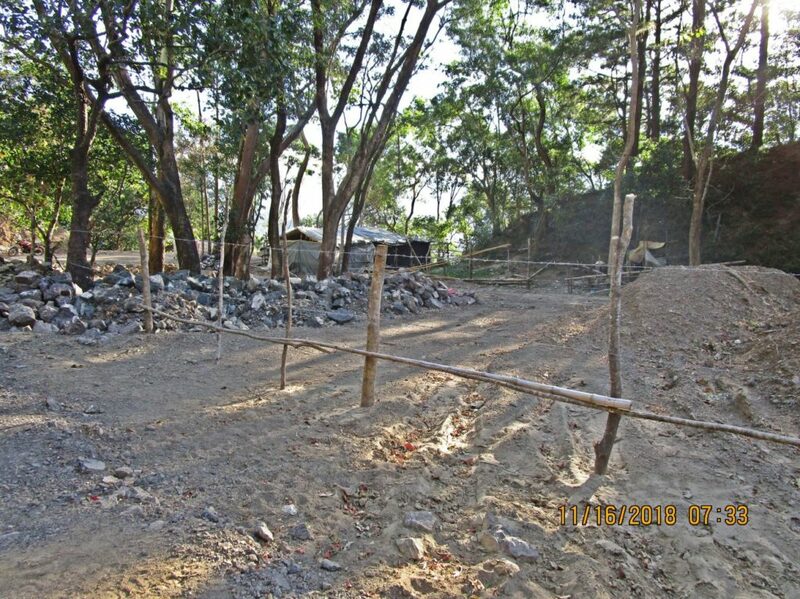 We can see the trail go towards Hill 1053; everything left of it is the Ambayabang River head water area. That river flows first north, then curves west and then south and joins the Agno River. Zc935. 181116 Villa Verde hike, middle section 030. This is where a much smaller ridge branches off and the road pretty much runs level now. Zc936. 181116 Villa Verde hike, middle section 033. This is the place where the much smaller ridge branches off and the construction people have a camp here. Nearby was a spring and a couple other structures were standing here and I noticed a recently established fence. I came across cattle pup-pup, so we learned that someone is keeping some cattle here. Zc937. 181116 Villa Verde hike, middle section 041. We are looking back at the place where the much smaller ridge branches off and the construction people have a camp there. Nearby was a spring and a couple other structures were standing there and I noticed a recently established fence. Zc938. 181116 Villa Verde hike, middle section 044. 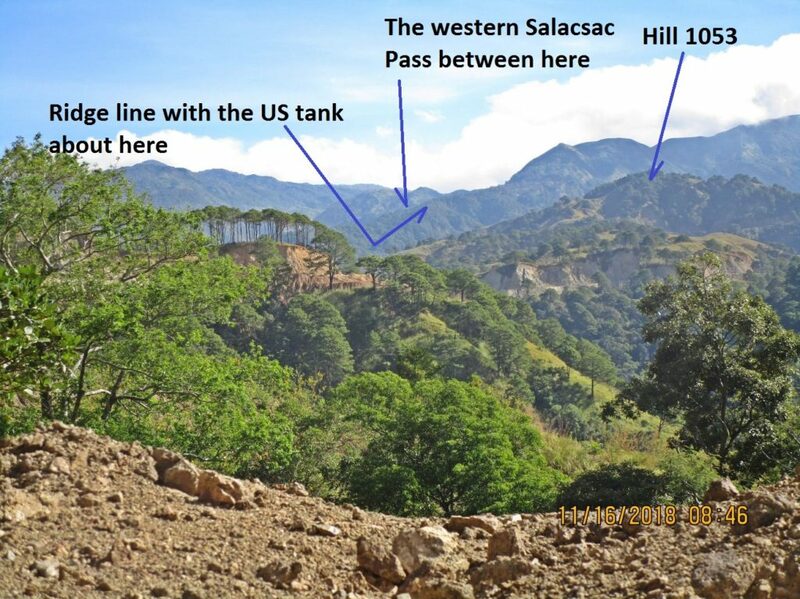 We are advancing along the Villa Verde Trail/Road along a ridge that runs towards or connects to Hill 1053. Zc939. 181116 Villa Verde hike, middle section 045. 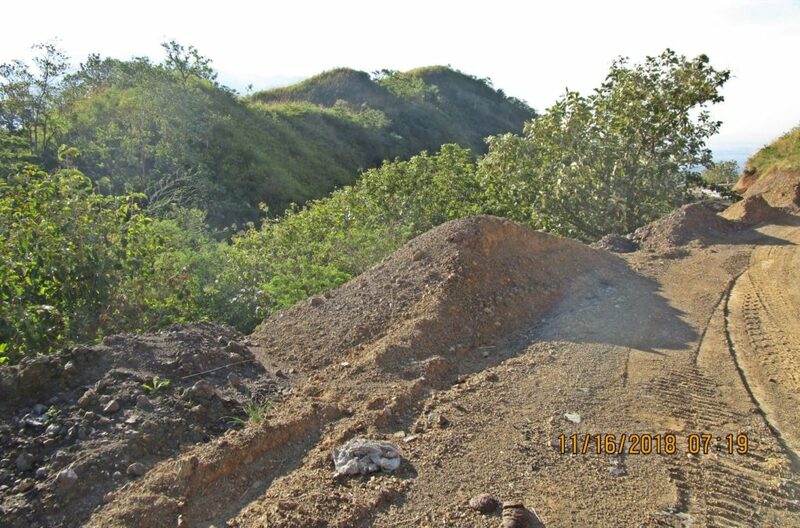 We are advancing along the Villa Verde Trail/Road along a ridge that runs towards or connects to Hill 1053. But this is a look back to where we came from. This picture was shot at the same time as # Zc938. Zc940. 181116 Villa Verde hike, middle section 050. 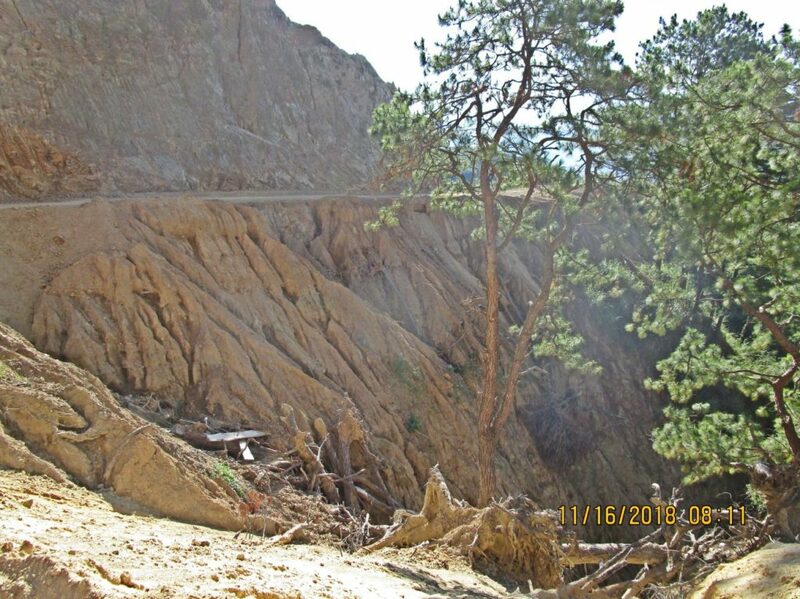 This is a goog sample shot that tells us, building a road in the mountains is not easy, it still got to be widened. Zc942. 181116 Villa Verde hike, middle section 054. 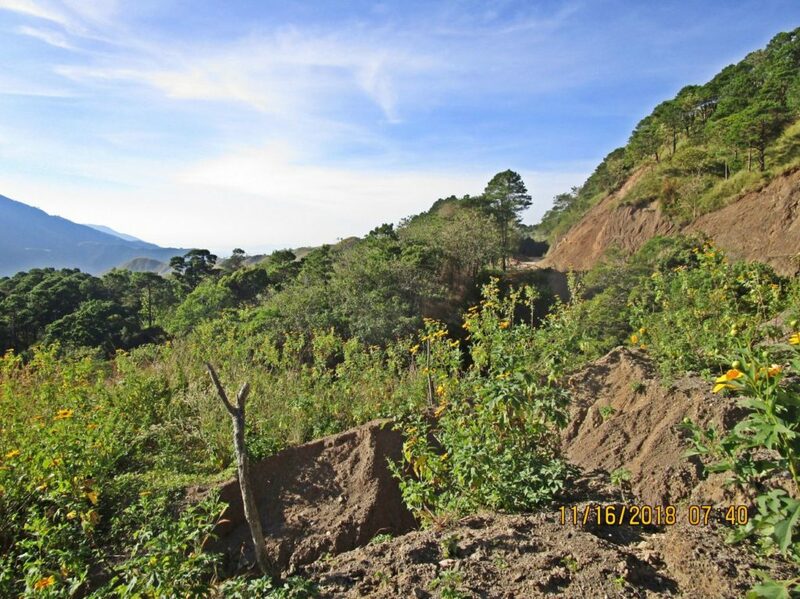 We are advancing along the Villa Verde Trail/Road along a ridge that runs towards or connects to Hill 1053. 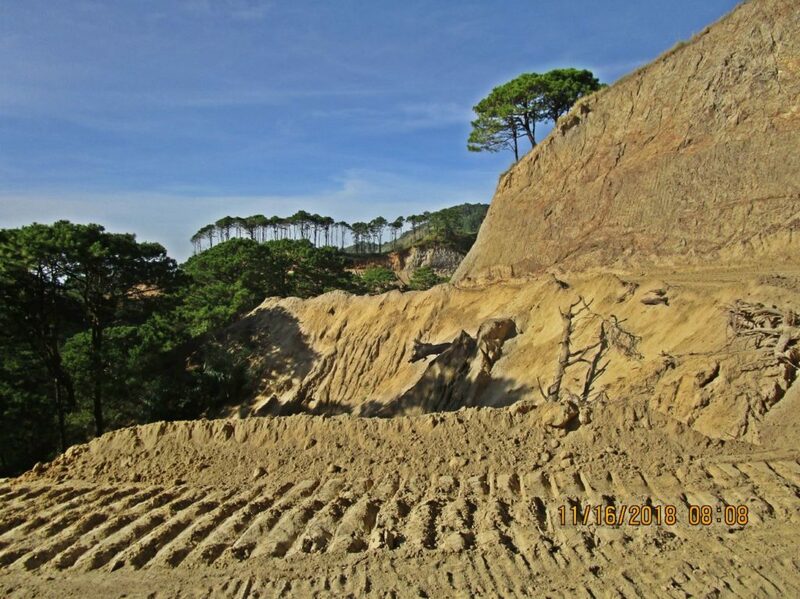 It is now mostly Lahar material. Zc943. 181116 Villa Verde hike, middle section 063. I met another vehicle; this one is actually a barangay Malico vehicle on a government mission to San Nicias, its parent Municipality. This is the first time in several decades they could drive directly to Town Hall. 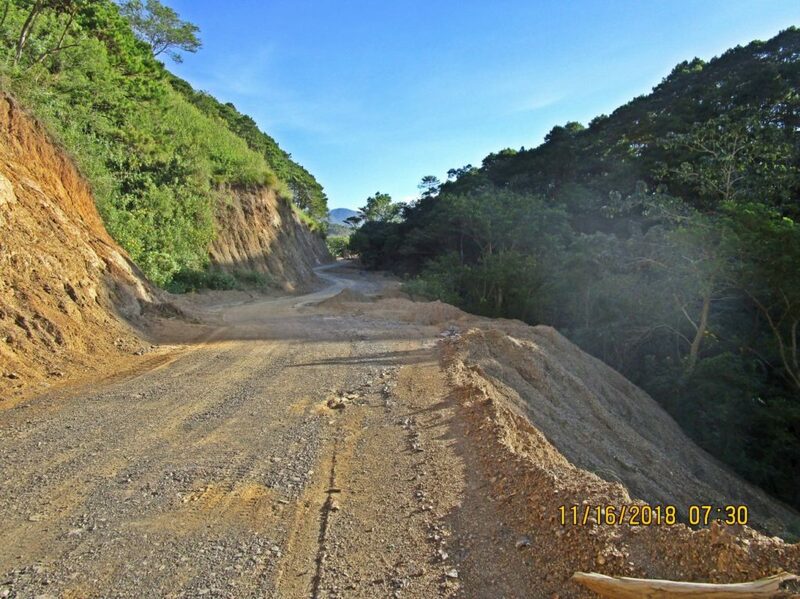 Before the Villa Verde Trail was opened again, they had to drive south to San Jose, Nueva Ecija thru the Balete Pass and then back up to San Nicolas, on this side of the Caraballo Mountain Spur. Zc944. 181116 Villa Verde hike, middle section 064. 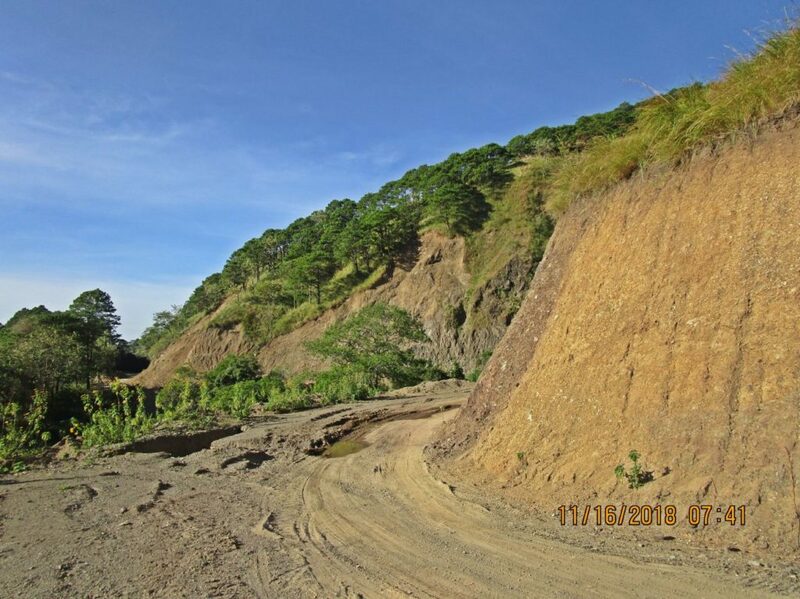 I’m advancing along the Villa Verde Trail/Road along a ridge that runs towards or connects to Hill 1053; it is now mostly Lahar material. The Villa Verde Trail follows the watershed boundary between two rivers. Right and south is the head water of the Cabalisian River which drains to the right and south and remember the new bridge was built to cross it at the start of the Villa Verde Trail, Pangasinan End. To the left and north is the headwaters of the Ambayabang River, it starts in part at Malico, hooks to the north, then makes another large curve to the left and flows south into the Agno River. In this picture I am looking forward, to the east. Zc945. 181116 Villa Verde hike, middle section 069. 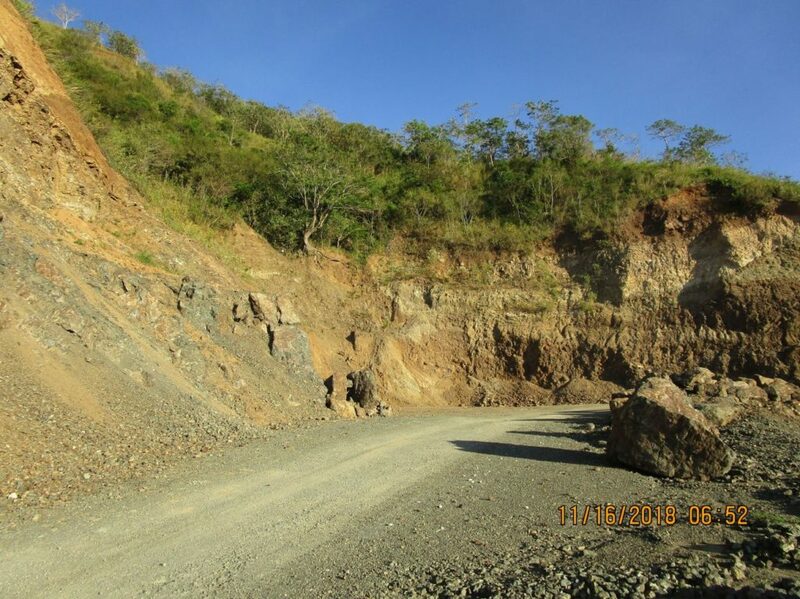 I’m advancing along the Villa Verde Trail/Road along a ridge that runs towards or connects to Hill 1053; it is now mostly Lahar material. The Villa Verde Trail follows the watershed boundary between two rivers. In Dec 2017 I walked the Villa Verde Trail, starting at Malico, walking down to this direction and had to stop about here. 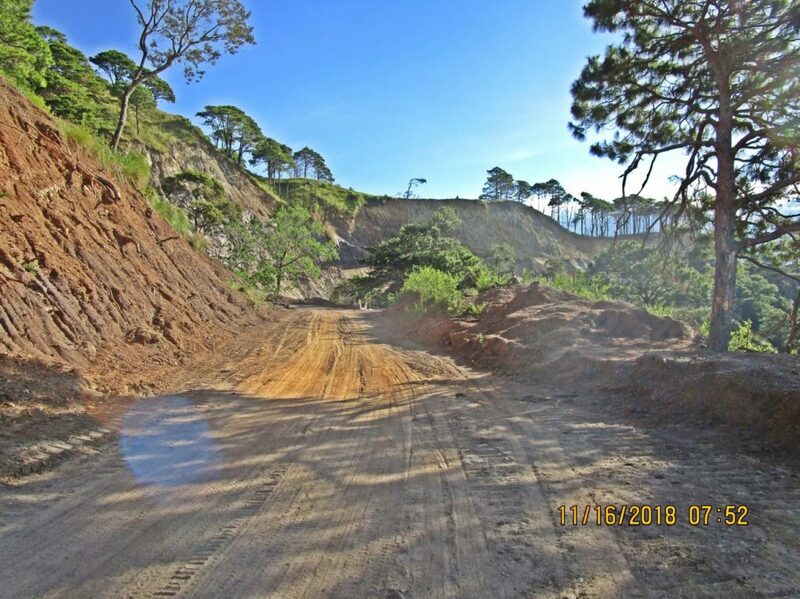 The new Villa Verde Trail, Road was not finished cut here yet and I had to turn around and go back. This is a look back to the west by south west. Zc946. 181116 Villa Verde hike, middle section 071. 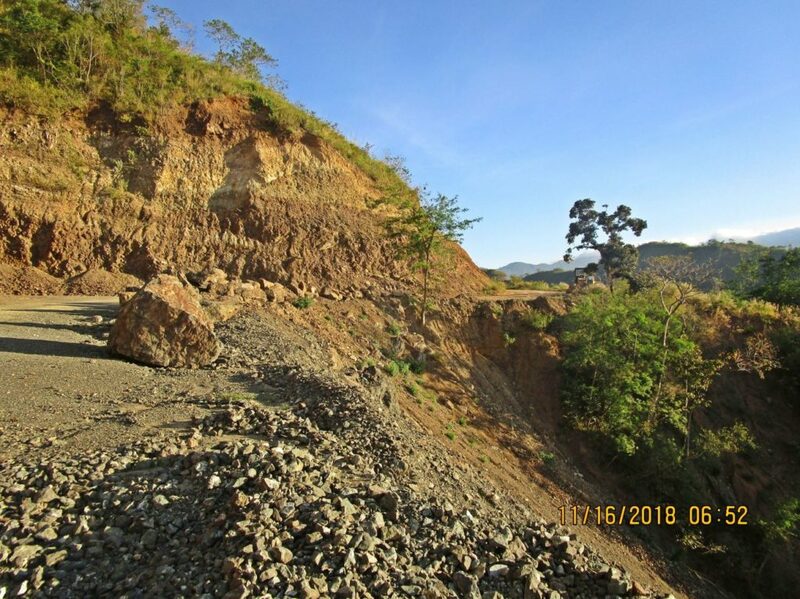 I’m advancing along the Villa Verde Trail/Road along a ridge that runs towards or connects to Hill 1053; it is now mostly Lahar material. This Villa Verde Trail has countless bends around ridges and countless ravines. Zc947. 181116 Villa Verde hike, middle section 073. 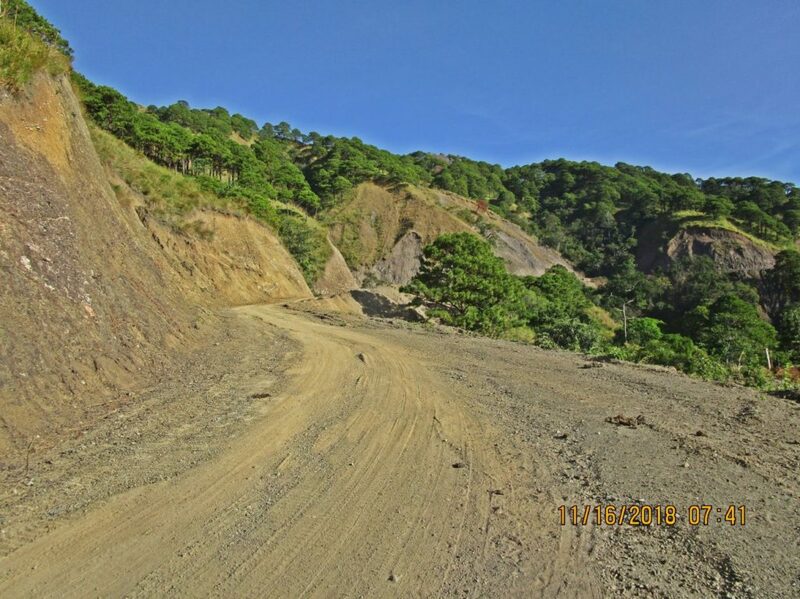 I’m advancing along the Villa Verde Trail/Road along a ridge that runs towards or connects to Hill 1053; it is now mostly Lahar material. 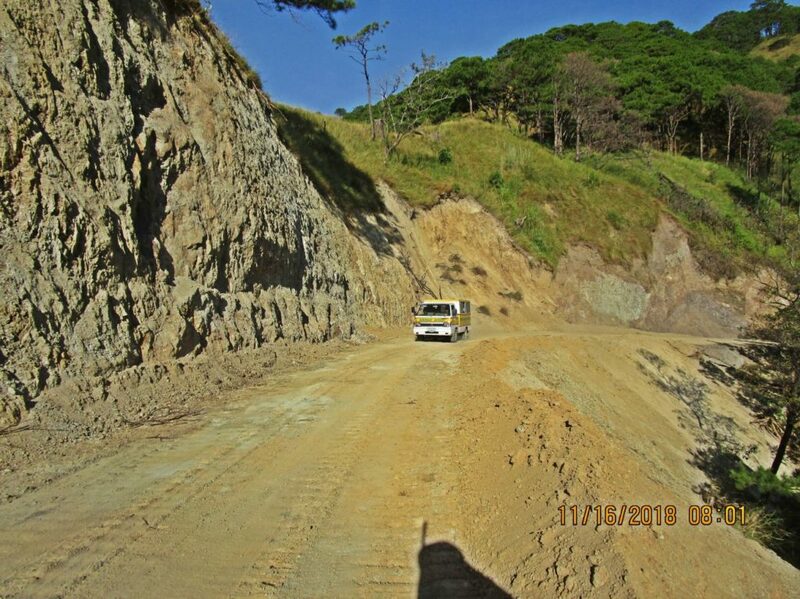 It looks like it needs more widening here; the DPWH has their hands full with this project. Zc948. 181116 Villa Verde hike, middle section 080. 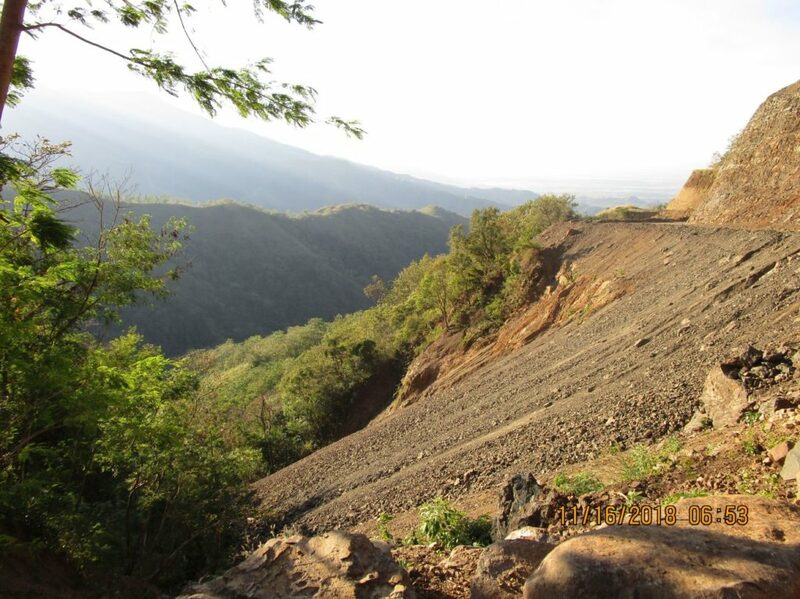 Hill 1053 is in sight, the mountains in back are the Caraballo Mountains Spur that runs down to San Jose, Nueva Ecija. 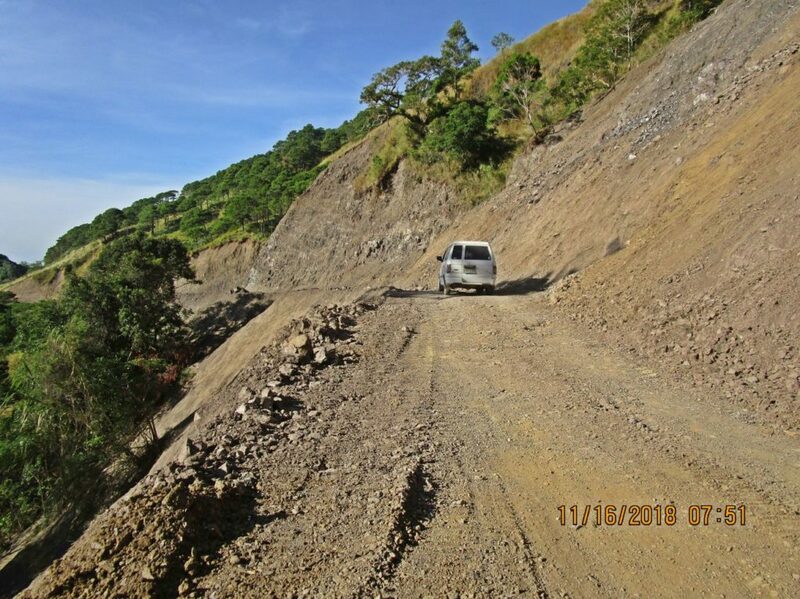 On the east side of the spur is Highway 5 going north thru Balete/Dalton Pass to Santa Fe, Nueva Viscaya and Cagayan Valley Region. 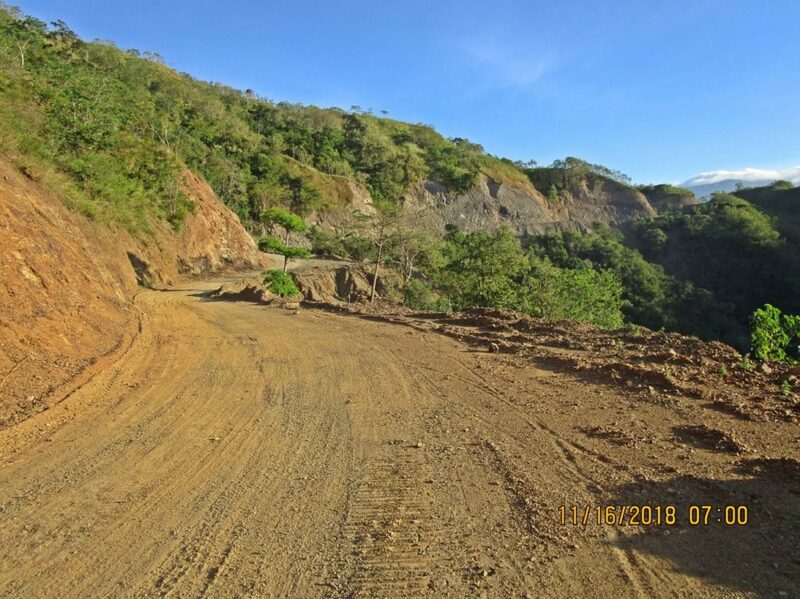 Now this road project, the new Pangasinan – Nueva Viscaya Road along the old Villa Verde Trail will be a shortcut to the Cagayan Region from the Central Luzon Plains. Zc949. 181116 Villa Verde hike, middle section 083. 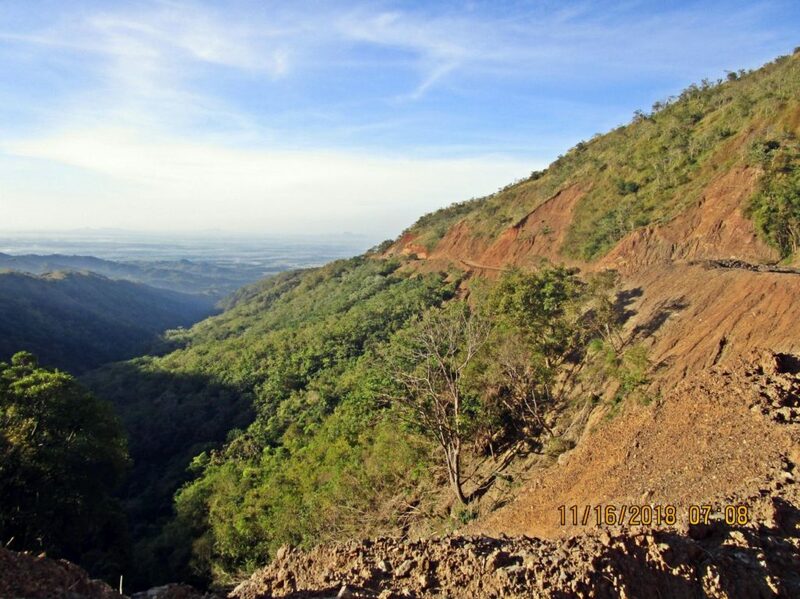 Hill 1053 is in sight, the mountains in back are the Caraballo Mountains Spur that runs down to San Jose, Nueva Ecija. 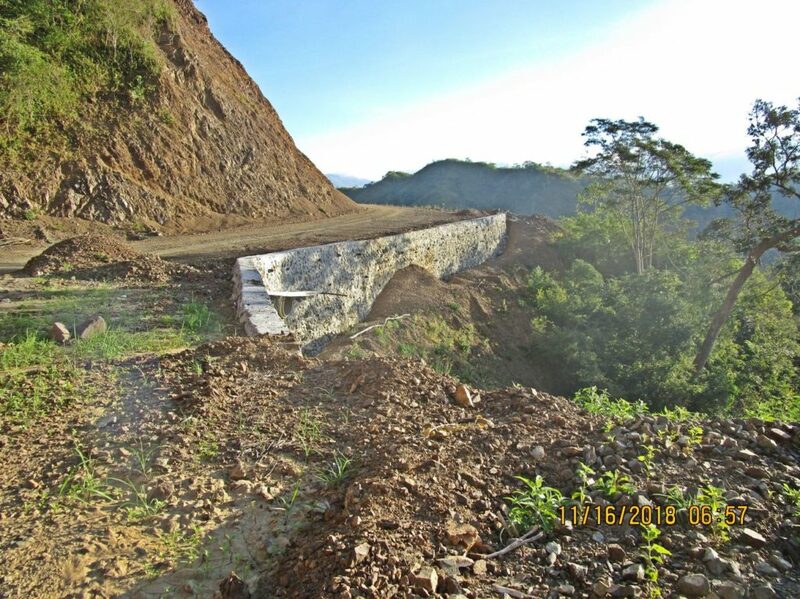 On the east side of the spur is Highway 5 going north thru Balete/Dalton Pass to Santa Fe, Nueva Viscaya and Cagayan Valley Region. 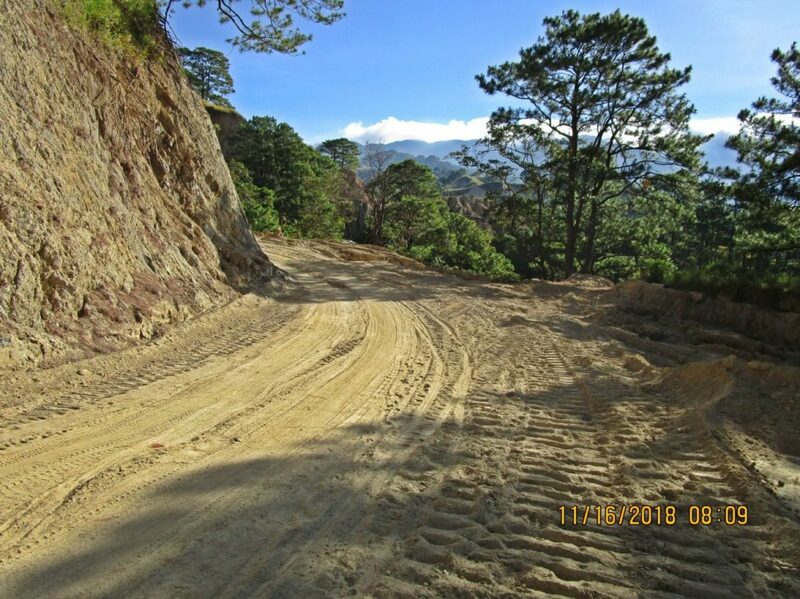 Now this road project, the new Pangasinan – Nueva Viscaya Road along the old Villa Verde Trail will be a shortcut to the Cagayan Region from the Central Luzon Plains.